Getting treatment for alcohol addiction has become easier with the establishment of various facilities in different states. However, there are many people who are unable to afford alcohol rehab centers due to unstable or low income; other categories are the unemployed or homeless. This can easily be reconciled with the number of free alcohol rehabilitation centers available today. The importance of a free drug and alcohol rehab cannot be undermined as many people lose their lives to addictions yearly due to the inability to fund their own treatment. The lack of funds for holistic alcohol treatment centers often leads to very dangerous methods of self-rehabilitation such as cold-turkey or unorthodox methods that may cause more harm than good. 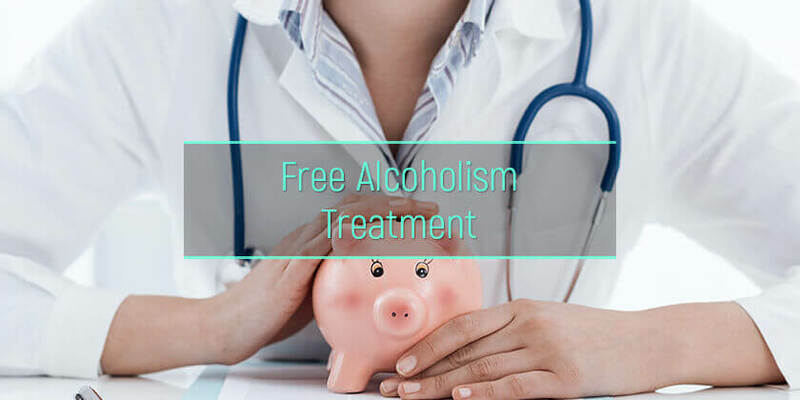 Free alcohol rehab centers are helpful institutions that provide the financially challenged with free rehabilitation services, enabling the economically challenged to live an addiction-free life. What is free alcohol rehab? How to get immediate treatment without insurance? How to reduce the rehabilitation cost? How to enroll in a free alcohol rehab? People with alcohol dependencies are referred to an alcohol abuse treatment center for proper rehabilitation and general detoxification. Free alcohol rehabilitation centers are institutions funded by the state government or private humanitarian groups to provide free and full treatment for people battling with drinking addiction. The cost for securing treatment for alcoholism and or drug abuse can be exorbitant, especially for addicts who may be low-income earners and have no insurance coverage. A free drug and alcohol rehab caters to the immediate need of people who have attained the critical stage of addiction that is harmful to themselves and others. The popular Alcoholics Anonymous (AA) is a free support group that helps people through their addictions, providing counseling, physical and financial sponsorship to its members. Taking the bold step to attend meetings and getting involved in the 12 steps program is a sure step to full recovery. There are no financial obligations in becoming a member and no discrimination; however, there may be categories which cater specifically to particular needs such as alcohol treatment for women as well as others. Christian alcohol rehabilitation centers provide free tailored treatment programs which guide struggling believers on the path of faith with adequate recovery programs to ensure the physical, mental and spiritual well-being of the patient. Faith-based alcohol and drug institutions cut across various religious groups such as alcohol rehab for Jewish as well as others. These programs are mostly free. Anything can be found on the internet for free, even online support services for alcohol addiction. There are chat groups and addiction platforms that provide 24-hour counseling and advice on steps to take to like an alcohol-free life and how to maintain sobriety for as long as needed. Generally, every rehabilitation program has an online presence and free support groups, making this option the most easily accessible. To find the most convenient facility that offers free rehab, simply Google “Free drug and alcohol rehab near me.” This will provide you with options to compare services with. Free drug and alcohol rehabilitation centers often have conditions and criteria to screen candidates and to pick out those who qualify for assistance and these conditions often involve more critical cases. This discriminates on those who have a fair addiction to substances and are willing to go through with the detox process. However, a state government funded facility provides an inclusive treatment for people who do not qualify for medical assistance in other free alcohol rehab facilities and are financially unable to support themselves for private treatment. Free services or highly subsidized costs based on income level, with a very flexible payment plan that supports anyone who is in need of this service. Close monitoring and counseling from professional service providers and medical personnel to ensure a quick recovery. There are numerous establishments of free drug and alcohol rehab centers in America with the highest number of facilities based in Florida. Non-profit treatment facilities provide free short term medication and detox programs as well as residential options for long-term patients. Free outpatient alcohol rehab programs are also available on preference. To qualify for entrance into the free drug alcohol rehabilitation program, there are specifics to consider. Some facilities conduct assessments to determine the necessity of admission into the program. In some cases, there are waiting lists to sign up for. Financial details may be required to determine eligibility for alcohol rehab programs free. Use a credit card – expenses for the treatment can be paid back through the use of a credit card. This allows one to comfortably pay off debt with the absence of an insurance plan. Source for a loan – sourcing for loans from corporative, financial institutions and other groups are viable means as well. Refunds can be made using a flexible payment plan stretched across a period of time. Secure funds from friends, families and loved ones – a rally of funds from friends and relatives as well as one’s own personal savings can go a long way. Grants and scholarships – applying for a scholarship or grant, such as those funded by the Substance Abuse and Mental Health Service Administration (SAMHSA), is an easy way to fund an addiction treatment program. One must first possess all relevant qualifications to be found eligible for a scholarship or grant. Local opportunities – some facilities are backed up by big donor organizations and often have offers for locals in that region. 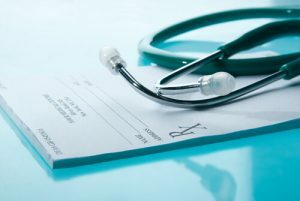 One can compile a comprehensive list of health centers by searching the Internet for free alcohol rehab centers near. This would confirm if there are opportunities for a free alcoholism rehab currently in progress. Some alcohol inpatient rehab have NHSC approved payment structures such as sliding scale fees which serve variable prices for treatment based on the customer’s income level and ability to pay. This kind of price differential is created to enable lower incomes access to adequate health care. Many institutions offer sliding scale fees on an application and confirmed eligibility of the patient. A good number of free alcohol and drug rehab centers are state-government funded. Apart from alcohol and drug addiction treatment, these facilities run other humanitarian programs such as child protection, psychiatric services, and other categories of rehabilitation free of charge. Low-cost and no-cost treatment is readily available upon confirmation of eligibility, and the patient can receive short-term and long-term treatment. This facility remains the best free option for low-income earners with no insurance coverage. Tertiary institutions are actively devising new methods, researches, techniques to improve processes and conditions related to addictions, illnesses, and other physiological problems through test trials. These trials often require test subjects which are voluntary. Applying to participate in clinical trials can be just as effective as free inpatient alcohol rehab centers even though there are significant risks associated with trying new drugs, remedies, programs and other treatment techniques that are still in their infancy. However, there are control mechanisms and round the clock attention, monitoring and evaluation to document effects and also quality service from the clinical staff. These clinical trials have offered complete treatment at no-cost to numerous patients. To be eligible for this free opportunity one can apply to research institutions that conduct trials on alcohol rehabilitation online, fill out the personal information forms, and study the terms and conditions. This option is cost-free and ensures adequate treatment. In spite of the rigorous process of providing certain documentation such as bank statements, tax statements, national identification, as well as enduring a long waiting list in order to get enrolled into the free program in some case, there are population of people that are often prioritized such as pregnant women with critical addictions, people addicted to IV drugs, and others. People who are under a specified priority category will be considered immediately. A first step to getting enrolled is to contact the state mental health and substance abuse agency to get information on how to sign up and find out what options are available in terms of services provided by various free rehab facilities. This may require making direct contact with each facility. Funding an addiction program is often expensive on regular income without insurance and can be discouraging, leading to personal medication and adoption of the cold-turkey method of rehab. It is difficult to achieve significant results in dealing with withdrawal from alcohol abuse on one’s own. There are a good number of free rehab facilities in every state to help addicts live an alcohol and drug-free life.